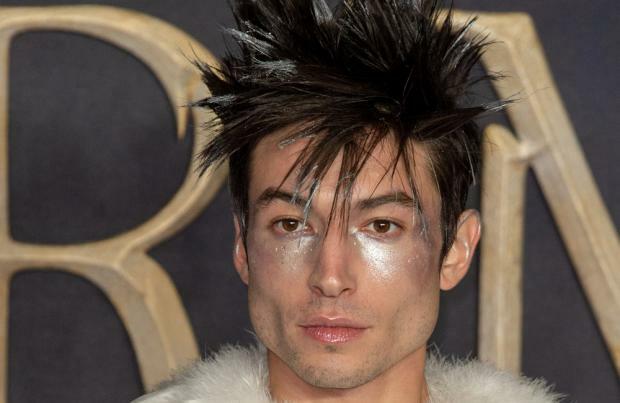 Ezra Miller was "practically tearing out" his hair when he got the script for 'Fantastic Beasts: The Crimes of Grindelwald'. The 26-year-old actor – who reprises his role as Credence Barebone in the second instalment of the wizarding spin-off saga – is a huge 'Harry Potter' fan and was stunned with the way writer J.K. Rowling had added extra detail and context to some of his favourite characters from the original series. He told SciFiNow magazine: "If you are someone who read a 'Harry Potter' book, even once, you're gonna freak out. "It is mind-blowing and the way Jo can add notes to a broader story and flip the context of other events or characters that we know, love and remember is just incredible. "When I read this one, I was practically tearing out my hair." Ezra recently admitted he can't believe his luck that he gets to be part of the movie franchise. He said: "What's really great and what I find really wonderful is the way that this environment facilitates expression, it's really special. It's a very particular feeling on this set. It's immense. It's also more quieter than a lot of smaller sets I've ever been on. There's a real sense of collaboration in the process of finding each scene. "We take time to rehearse, which is a rare gift when you're on a studio schedule making an enormous movie. We have a lot of really considered conversations in which everyone's voice is heard who's participating in the scene. We work really intimately with these various devoted departments, like the puppeteers and the visual effects department, the props department, you know, various people who are enabling us to fall deeper and deeper into a world of imagination, and so that is a delight. "I haven't had any specific requests for things to happen in the story. I'm very, very, very pleased with all of the material. "I find a lot of depth and meaning in it. I still do. I still relate and connect to it as directly as I did when I was first interacting with the material as a young person."